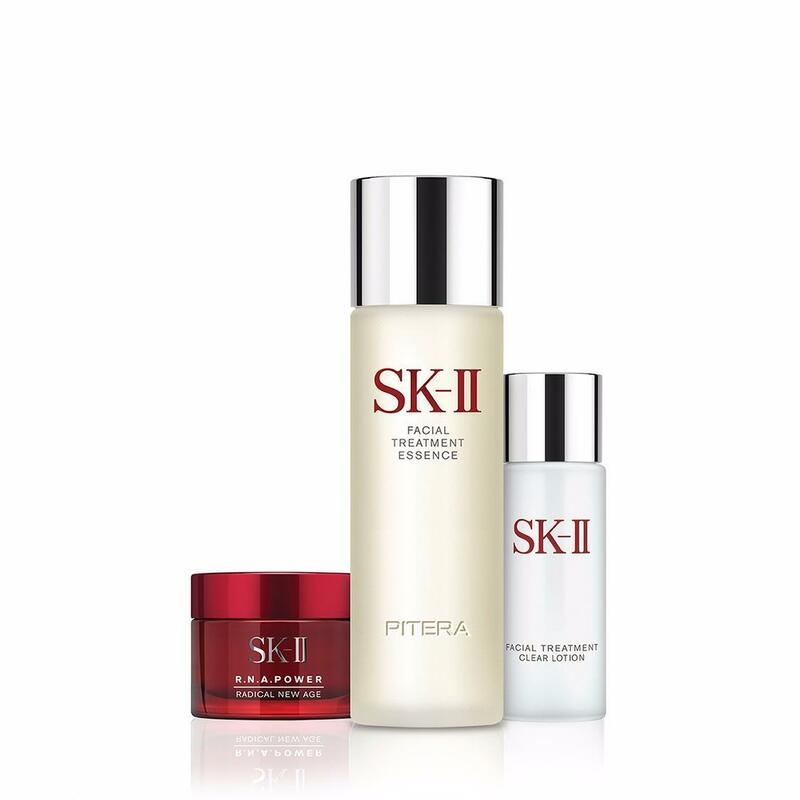 This 3-step introductory kit contains the must-haves for beautiful skin featuring SK-II's signature product, Facial Treatment Essence (75ml), with over 90% PITERA™. Also included are Facial Treatment Clear Lotion (30ml) and R.N.A.Power Radical New Age (15g). Used together, your skin will become firmer, smoother, and more radiant.